Eleonore House was originally built in the early 1990’s by Northampton Borough Council. It provides independent living for elderly people consisting of twenty seven single person bedroom flats, two visitor flats, a residents lounge, reception and other ancillary rooms. 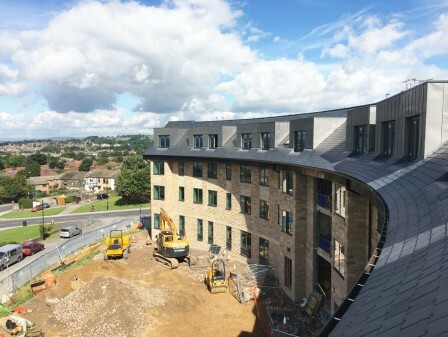 The building is now operated by Northampton Partnership Homes who appointed Kier through the Scape framework to complete a full refurbishment of the building. Watson Batty Architects were employed as Lead Consultant/Project Architect. We developed an earlier feasibility design scheme and made significant improvements focusing on the main entrance, reception, lounge, accommodation, accessibility and the external garden/relaxation areas. 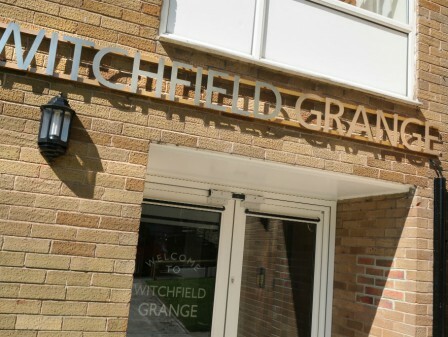 The refurbished building now includes a total of thirty ‘standard 1’ bedroom flats, three wheelchair accessible flats and a visitor flat – all fully refurbished to current living standards. The original exposed internal brickwork walls and timber panelling has been replaced with a light and spacious entrance area with the help of a new single storey glazed extension and roof canopy. The former external brickwork has been revitalised with a light coloured painted render finish and new signage to provide a modern and inviting main entrance. The residents lounge has been transformed into a modern and inviting space to enable residents to socialise together and with family. The addition of an external seating area with green screening and planters provides additional relaxation space outdoors. All the internal corridors have been plastered and painted to remove the dark brickwork and new flooring has been laid throughout. 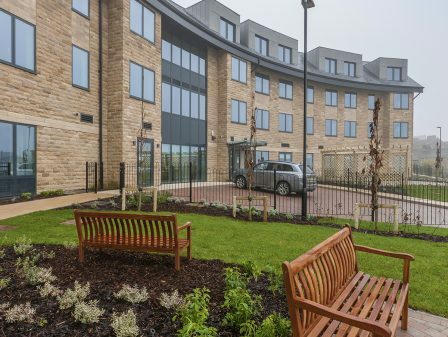 All wheelchair accessible accommodation and rear facing flats have provide level access to the two landscaped areas which offer a mix of material finishes, new seating, shade and games areas. The client and residents are very happy with the completed project. Kier have thanked Watson Batty for providing a professional service throughout all stages of a challenging project on a live site. 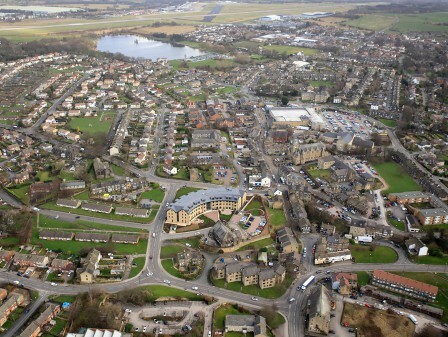 Award Winning Wharfedale View Yeadon!